Running Coach Karen King starts off race for the annual Kids Run the Nation Fun Run on Thursday at Leonard Park. 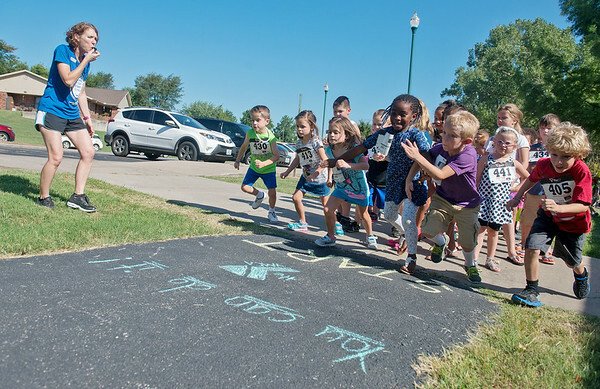 After training for 6 weeks, over 100 Joplin Family YMCA day campers ran in the event. The run was funded in part by Active Lifestyles Events of Joplin.